Valley Wide Kayak Club on "facebook"
We are a kayak club dedicated to sharing with others the joy of kayaking. Our goal is to kayak in the great outdoors, learn good paddling skills, promote safety, enjoy group outings, and most of all - HAVE FUN! Valley Wide Recreation and Parks District in San Jacinto, CA sponsors our kayak club where we hold meetings the first Monday of every month at 6:30 pm. Our membership consists of all age groups, including single adults, married couples, families with children, and senior citizens. A few of our members are disabled and enjoy the freedom that kayaking provides them. 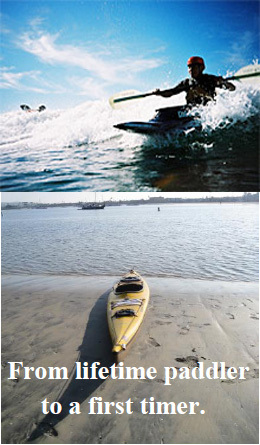 The experience level of our members ranges from beginning paddlers to paddlers with many years' experience. Experienced members help our inexperienced members learn to kayak. Most of our members have touring/sea kayaks; a few have recreational kayaks or sit on top kayaks. 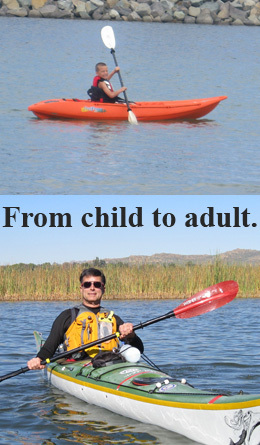 You do not have to know how to kayak to become a member of the Valley Wide Kayak Club. Training is provided.